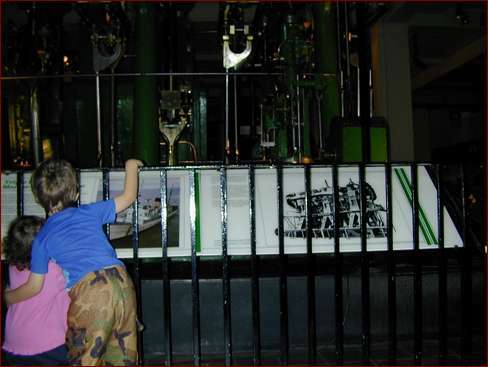 Here Isaac is guiding Lila around the various steam engines. He runs around (and away) but when we do our two-tone whistle he always answers back. It makes things a bit more sane. 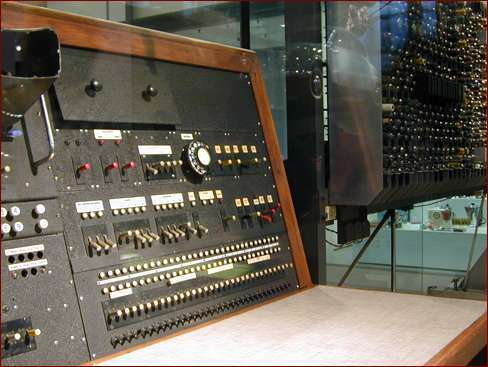 This is a very early computer, one of the first. At right are vacuum tubes, at left is the console. 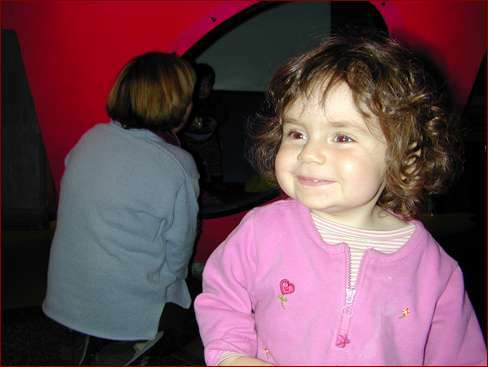 Lila is really having a good time in The Garden, the basement toddler playspace. It's not as impressive as the rest of the museum, but there are a few things which are of interest to the under-4 set. Here Lila is proud of herself at being able to navigate in and out of the climbing structure (behind her). 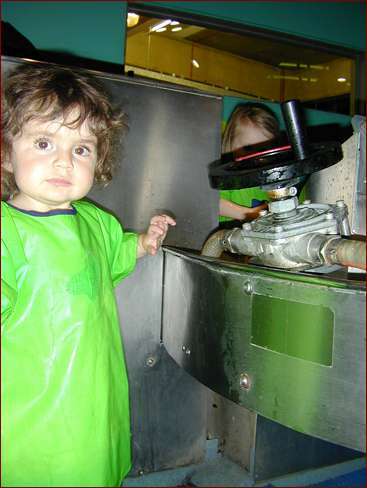 She'll be ready for the Exploratorium's Tactile Dome in a few years. Now she looks like a scientist, in her lab smock. This is the water playspace, which delighted both Lila and Isaac for a while. Isaac has moved along to the blocks and bean-bags area. There are lots of parts of the Science Museum I didn't show here, and even more areas which we never got to visit, and we'll certainly try to return before we go home. Now we're hungry, all of us, and that's a good sign. We leave the museums behind, bundle up, and head out to High Street Kensington.